Many people considering bankruptcy want to know how much their bankruptcy will cost. Accordingly, every bankruptcy lawyer gets asked right off the bat “how much do you charge for a chapter 7 bankruptcy,” and every bankruptcy lawyer must give the unsatisfying answer “it depends.” In truth, how much an individual’s bankruptcy will cost depends upon the attorney and complexity of the case. A simple no-asset chapter 7 bankruptcy will naturally cost less than one involving over $100,000 of credit card debt. Chapter 7 bankruptcy attorney fees will often cover drafting the petition, statements, and schedules; and representing the client at the meeting of creditors. Most chapter 7 representation agreements exclude representation in adversarial proceedings. In most cases, if an adversarial proceeding arises in your case you will have to pay a bankruptcy attorney by the hour to handle the matter. 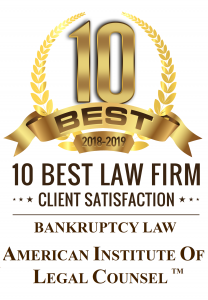 Chapter 7 bankruptcy attorney fees may or may not include the cost of obtaining a professional credit report and the credit counseling course. The biggest expense associated with the chapter 7 filing is often excluded from the attorney’s fee: the $306 filing fee. The $306 chapter 7 filing fee is usually excluded from the attorney’s fee to make their quote sound lower. Many bankruptcy attorneys who have tried including the fee in their quote have found that the end result is usually a lowering of their fee from what they otherwise could charge. For instance, if an attorney quotes you $1,500 for representing you in chapter 7 bankruptcy, but omits the fact that the fee does not include the filing fee, you may nevertheless accept, whereas you would not if the attorney quoted you $1,700 but explained that the fee includes the filing fee. All that you heard was the larger number, and even though the math works out in your favor, somehow many clients ignore the math and only hear a number that is too large. Consequently, most bankruptcy attorney exclude the filing fee from their quote. Chapter 13 bankruptcy attorney fees often include the necessary components of representation in chapter 13 proceedings. Again, the fee will include drafting the documents and representing you at the necessary hearings, but will likely exclude representation in adversarial proceedings. Likewise, the fee will likely exclude the chapter 13 filing fee.